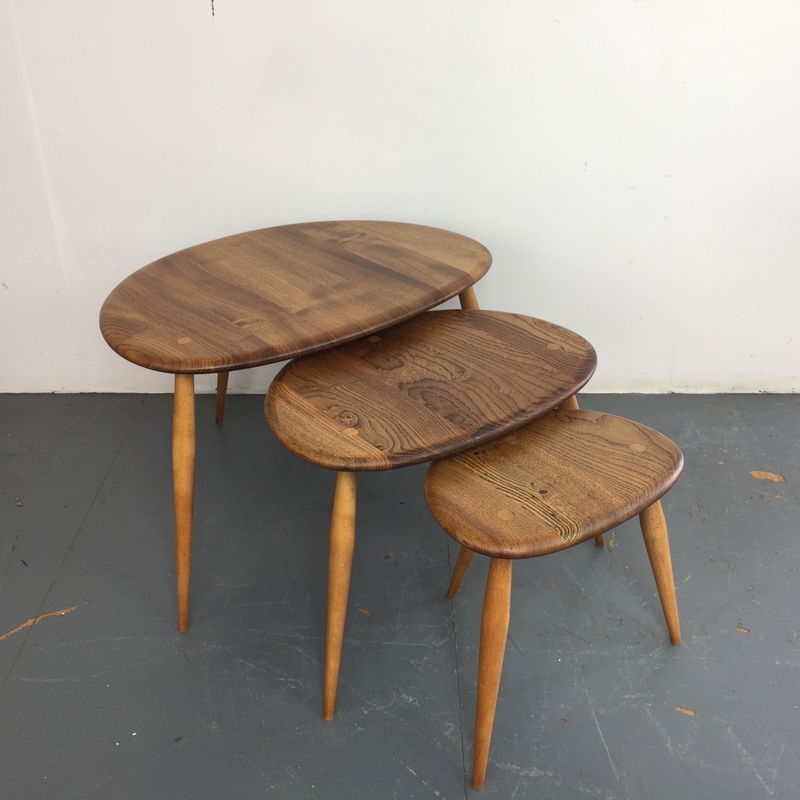 Designed by Lucian Ercolani 1956, these Ercol tables have a wonderful simplicity of design and appealing curves. Made with a beech top and splayed tapering legs. Lovely patina to the wood. In good vintage condition, with some wear commensurate with age and use, but nothing specific to mention.